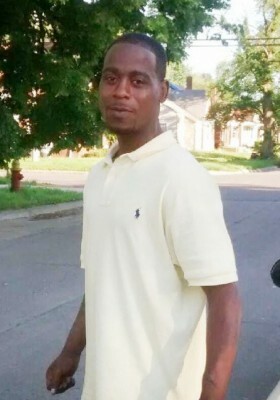 Cop crossed Detroit border, chased Matthews on foot, away from view of dashcam video, then shot him in a backyard. 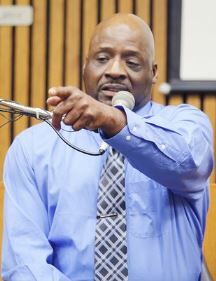 DETROIT – The family of Kevin Matthews, 35, gunned down by a white Dearborn cop on Dec. 23, wept in agony during a Christmas Eve press conference called by the Rev. Charles Williams II, Michigan chair of the National Action Network (NAN). Matthews’ mother and immediate family, and generations from infants to great-grandparents crowded the stage at Historic King Solomon Baptist Church in Detroit. “We want justice and we are going to fight this all the way,” the family vowed. 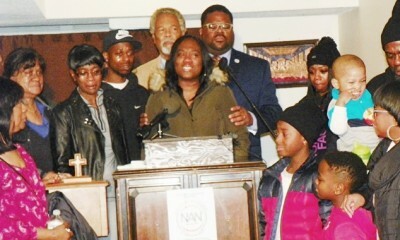 Williams announced that NAN and other organizations will hold a massive national rally in Dearborn Jan. 4, 2016. 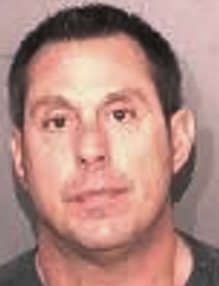 William Melendez mug shot Nov. 19 at Wayne County Jail. Floyd Dent points out “Robocop” Melendez in court during trial. Tears streamed down Kimberly Matthews’ face. She was Kevin’s sister. Kimberly Matthews speaks at press conference, calling her brother “the star of the family.” Her brother Lavell and mother Valerie Johnson are at her right. Is this the Dearborn cop who killed Matthews, appearing to explain action at scene of shooting? His family said Matthews suffered from paranoid schizophrenia, for which he was on disability income, and that he had also been hit by a car Thanksgiving Day, breaking his arm and sustaining injuries to his head. They said his cast had just come off, but he still could not use his arm; his fingers remained clenched up. 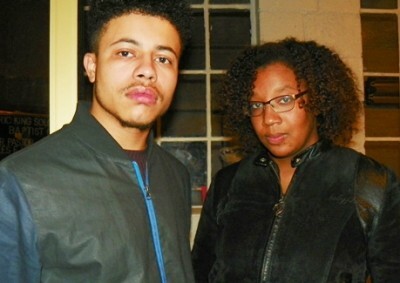 Grover Easterling, Jr. and Sierra Wither of national Organization for Black Struggle. Numerous supporters attended the press conference, including Sierra Wither and Grover Easterling, Jr. of the national Organization for Black Struggle. “This is a family that just lost a loved one who was differently abled,” Wither said. “Across the country, police are using mental illness in conjunction with Blackness to criminalize people. Bill Davis, President of DAREA, at press conference. The picture Rev. Williams and the family painted of Matthews contrasted greatly with the view that Matthews was a “troublesome criminal,” put forward by Detroit Police Chief James Craig and Dearborn Police Chief Ronald Haddad. Craig told reporters directly after the killing that there was “evidence of a struggle” in the backyard, and said they had one eyewitness. Haddad said Matthews had tried to take the cop’s gun, and that he supported his officer’s actions. 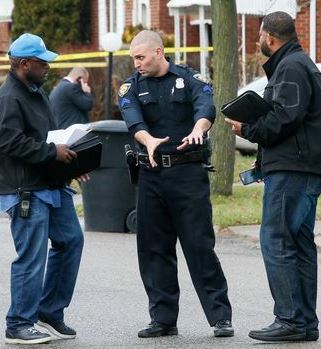 The Detroit Police Department works on numerous inter-agency task forces involving suburban police. One which also included the federal Immigrations and Customs Enforcement agency (ICE) was involved in the June 24 shooting death of Terrance Kellom, 19, in his father’s home on Evergreen near Joy Road, not far from the site of the Matthews shooting. Detroit police earlier worked directly with Dearborn police and the FBI to assassinate Imam Luqman Abdullah, shooting him 21 times, in October, 2009. The U.S. Department of Justice later exonerated the killers. Craig, whose department allegedly has taken over the investigation, claimed Matthews was wanted on a a $2,500 misdemeanor warrant from Redford Township, while Haddad said he had a probation violation warrant from Redford Township. No such warrants for Kevin Matthews are shown either on the state police ICHAT website, or in Wayne County Circuit Court online records. The ICHAT site does include numerous arrests of Matthews, nearly all with no subsequent judicial action. He served probation for 12 months for one misdemeanor case in 2013. In any event, Matthews had never even been arrested for a felony, the only valid excuse the Dearborn cop might have had for chasing him. But as his family has said, he was constantly being harassed by police. 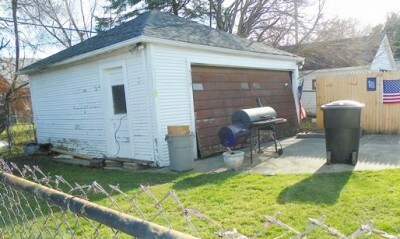 Backyard on Whitcomb north of Tireman where cop shot Kevin Matthews to death. Other mainstream media is now reporting without foundation that Matthews may have just committed a larceny, recalling the police murder of 18-year-old Michael Brown in Ferguson, Missouri. Media was quick to pounce on an earlier store video of Brown and a friend allegedly shoplifting. The cop who killed Brown, however, had no knowledge of that incident at the time. Brown’s killing ignited fiery rebellions and protests across the country as police continued to shoot down hundreds more unarmed Black men in the ensuing months. Ironically, two Black residents of southwest Detroit were talking to this reporter at the same time that Matthews was killed. 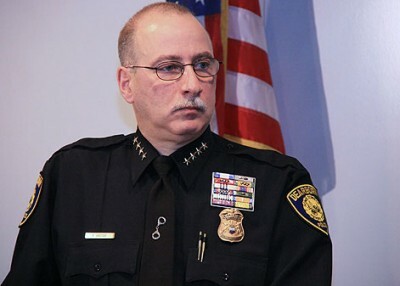 They complained of racist practices by both Dearborn and Redford Township police, and detailed stories of illegal stops they had undergone only recently. 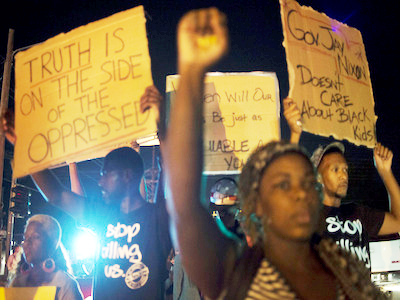 Protest against murder of Michael Brown in Ferguson, MO. One stop involved a Redford Township cop pulling one man over as he was driving his pick-up truck. The man repeatedly asked why he had been stopped, but the cop refused to explain, instead demanding his license and other papers. Finally he told the man he had stopped him for a barely visible chip in his windshield, which could not have been seen from even a short distance away. He then claimed that Township police were looking for a vehicle and a driver fitting his description, the age-old story used by racist cops. 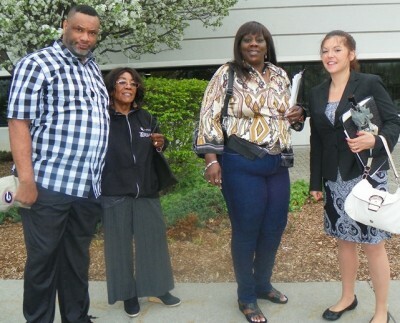 Terry Jerome Jones (l) with supporter; cousin Antoinette Austin (center) with attorney (r). Antoinette Austin said she believes Dearborn and other white suburban police are targeting not only Black men, but differently-abled men as well. Austin’s cousin Terry J. Jones was diagnosed with schizo-affective disorder as a child, she said. Austin said Jones was slugged and knee-kicked in the head after cops threw him to the ground, using the “N” word, and then choked with a noose around his neck while he was handcuffed behind his back. They called for assistance from other cops in a dispatch terming it a “fun run.” They said he was probably a crackhead and continually insulted him. The cops allegedly involved, who have not been disciplined, are Cpl. Edward Doulette, Cpl. Chad McDonald, and Sgt. Edward Fries. Then, she said, Dearborn courts and a public defender tried to get Jones to plead guilty to lesser charges in exchange for not suing the city, and also threatened to commit him to a mental hospital. (See video of Jones’ beating below). “Terry refused absolutely to take any kind of deal and give up his rights,” she said. He was eventually completely exonerated of charges brought against him and is currently pursuing a civil lawsuit for damages in federal court. The City of Dearborn has moved to dismiss the lawsuit. The judge has extended the plaintiff’s time to answer to motion until Feb. 4, 2016, according to federal court files. Jones’ case drew the attention of Detroit Channel 7’s Heather Catallo when she was working with the Local 7 Investigators. She followed it with a series of reports, running a police dashcam video of the assault to CODthe shock of the Dearborn police, Austin said. The police did not know they had obtained a copy of the video. When I see that arrest history, multiple arrests, all for minor crimes, and only one conviction for a misdemeanor, I don’t see a criminal… I see a guy who has been harassed by the police for a long time. Schizophrenia does change the way a person moves and talks. People with mental illnesses get harassed like this all the time, just because they look or act a little different. If a person has been stopped all the time, mistreated, they become afraid of the police, for good reason. I’m a white woman from Ohio, so I don’t know what it’s like to be black in Detroit, but I do have autism, and I’ve had cops stop me before because I looked like I was “wandering” or “acting strangely”, just because my body language is odd. Looking at stuff like this, I keep thinking, if I were a black guy instead of a white woman, would I be dead too? You gonna do an article about Anthony Tolson who was slaughtered like a dog on Christmas Eve after playing bass for a church service leaving behind a widow and three kids without a dad? 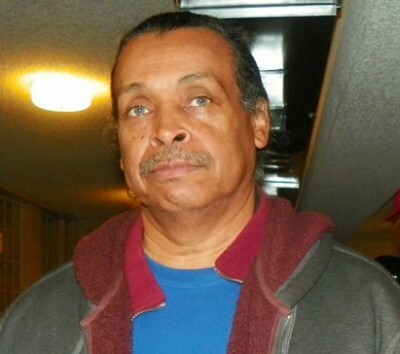 We read about Mr. Tolson in the mainstream media, which I presume is covering this case extensively. Our condolences to his family. We grieve every time we read about such killings. But it is not the editorial purpose of this paper to do articles on every crime that happens in Detroit. 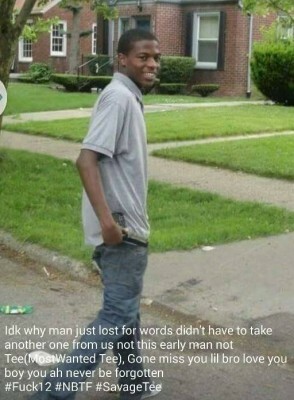 We do mourn those who are being killed as a result of street crime, but we believe the spike in homicides, etc. is directly related to elements like the 59 percent child poverty rate in Detroit, the importation of crack cocaine and heroin by forces affiliated with the CIA and money-laundering banks to commit genocide in communities of color (read “Dark Alliance” by Gary Webb, journalist who was assassinated for uncovering the CIA/Contra link to drug trafficking in the U.S.), and other factors common to poor, Black and Latino-majority cities across the U.S. We are a pro bono newspaper (not paid) with minimal staff, and have chosen to focus on the crimes on those in power. That should be the crimes OF those in power. so glad people are coming together to fight back against police injustice. i will be there on January 4,2016 to be apart of this protest.